Workshop member Mariya Lapteva came to Blackhorse to work on a specially designed bench for this year’s London Festival of Architecture. 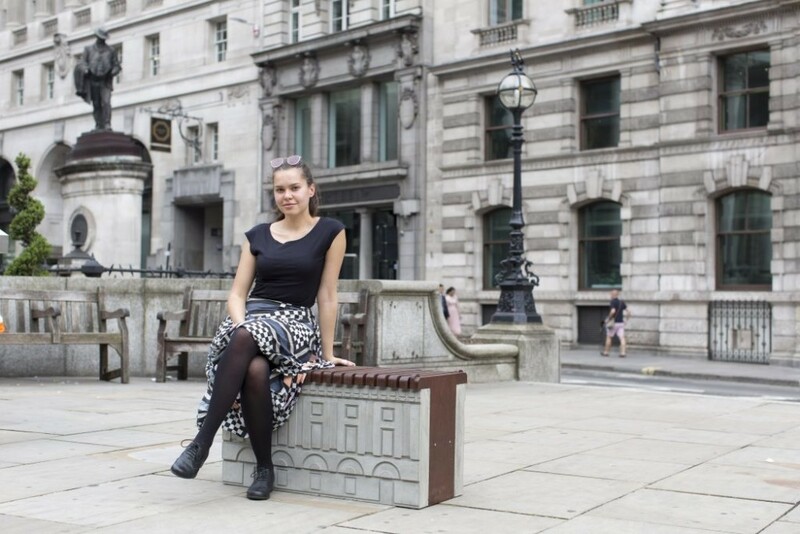 Mariya was one of ten designers chosen to design and build the bench after winning a competition to create the benches across the city with five in Cheapside and five in the Eastern Cluster. With support from the Architecture Initiative, Mariya worked at Blackhorse over several weeks constructing the wooden framework from 19 identical pieces. The concrete panels depicting the facades of the former buildings that once stood there were made with help from FP McCann. 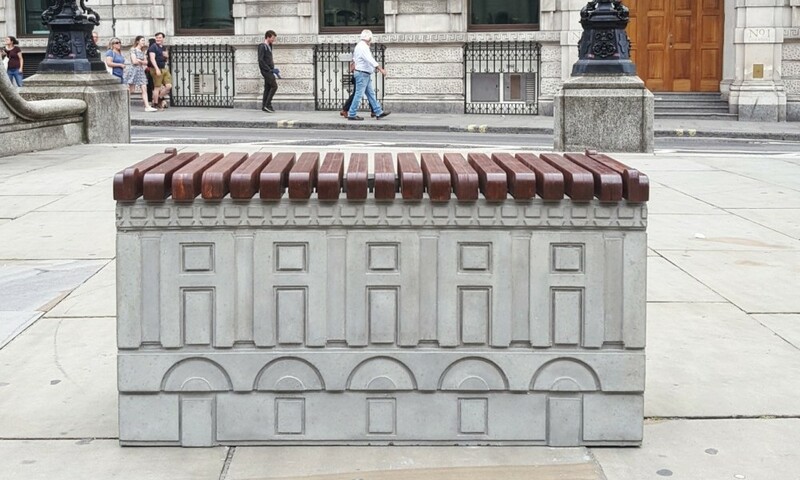 Sitting in front of the Royal Exchange, the bench reflects its surroundings. You can visit all ten of the benches throughout the city. The London Festival of Architecture runs until 30 June.